The client’s website was a mess. Their site expanded and expanded as their organization morphed and changed. But there was no pruning of links, no sense of order. When they decided to spin up a new initiative, they just added a new website section. I set out to map their site and came up with 11 distinct sections. They told I’d missed some, then handed me their sitemap with nearly two dozen top-level categories. There was zero hierarchy to their information architecture. It was just a tangled mess. Trying to create a user flow only resulted in a picture of a snarl. The user confusion came out in the analytics. Users were pogoing between pages trying to fulfill their goals. Eventually, they gave up. I explained to the client how this snarl was affecting their site. Heads nodded. They understood there was a problem. But they also couldn’t see an obvious solution. They had a tangled mess, but how can it be better? They didn’t want to throw all their content out and start over, not when their “thought leadership” depended so much on the width and breadth of their content footprint on the web. That’s when I started talking about one-point perspective, a technique from Renaissance art. One-point perspective was the first time a “vanishing point” became popular in Western art. For the first time, paintings started having the illusion of three-dimensionality – the lines made by plaza tiles converging in the distance, for instance. One-point perspective became more than just vanishing points, though. Artists used them to show convergence on religious iconography, too. In the client presentation, I pulled out a picture of one of the insets of the Ghent Altar Piece called The Adoration of the Mystic Lamb. The Lamb of God, symbolizing Jesus Christ, sits in the middle of the field with all the apostles and saints arrayed around it. Everyone was looking at the Lamb. 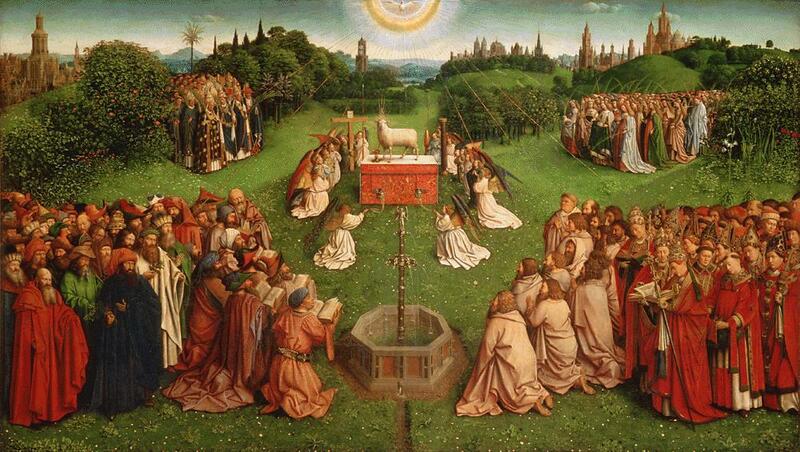 In fact, the entire scene is arranged so that everything in the picture drew your eyes to the Lamb. I also pointed out it was both explicit and very subtle. The people were looking to the Lamb; they weren’t pointing with arrows or fingers. The foreshortening of the scene drew you in as if there were lines leading you directly to that Lamb. Meanwhile, the rays of light from the sun subtly point towards the Lamb, as does the Fountain of Life below the altar. This, I told them, is what good experience design looks like – it has a central purpose and goal, and all things with the experience point back to that purpose, sometimes explicitly, sometimes subtly. To get there, you need a strong and usable experience architecture. This requires you that deeply understand the goals of people using the site and the goals of the organization creating the site. It means embedding the subtle lines that route people between their own goals and the site’s goals. Everything from aesthetics to IA to microcopy must serve a purpose in directing people along these lines. These lines already exist in any snarled IA — as desire lines and cowpaths (really, more like trails made by people trying to machete their way through the vines). The experience designer’s job is to make the right lines visible, obvious, and useful to the person using it. Everything serves a purpose, from a user goal or job-to-be-done to a picture on a page. Nothing extraneous. That’s what good UX is. And it’s also what good content strategy is, too. When content strategy emerged as “a thing” around 2010, I heard a lot of derision for it in the web world. People complained it was just content marketing by another name, or was just a well-branded editorial calendar. The more I talked to content strategists, though, the more I heard them talk of their work the way experience designers do. Content strategy starts with identifying goals, users, substance, flows… all things that sound eerily familiar to any design thinker. This is nothing new. Some of us have been hinting at this connection between experience design and content design for years. In fact, some of us have already started assuming the processes are so similar that content strategy is part of UX (even as it exists on its own). A tech company wanted to change up their onboarding for new products. And changing anything up means you’re going into a big conference room to have a long, political argument with the organization’s fiefdoms. As a consultant, I’m representing the UX team along with a junior designer. Marketing has brought its A-team: video producer, email marketer, and outbound marketing. Finally, the technical documentation team, a.k.a. “the writers,” brought its entire team. 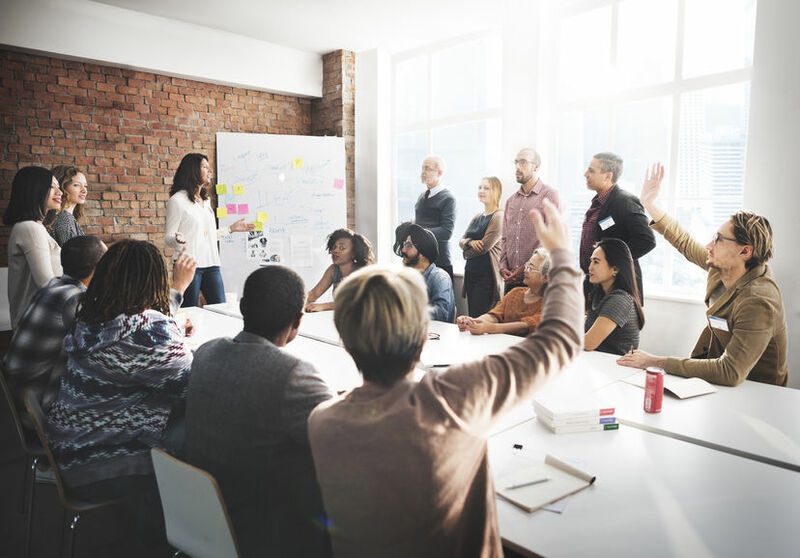 As you can imagine from meetings like this, no one could stay on the same page long enough to resolve anything. I asked the attendees to work through this spreadsheet with user, goal, and how each part of the experience would concretely help the user succeed. What should an onboarding video’s message emphasize? How would we communicate the differences between the rebranded products? What were our overarching goals and how could everything we do help make the user successful in those goals? Mind you, this isn’t rocket science. This is the same spreadsheet that every content strategist pulls out to define things (and is similar to what information architects use). The moment we worked through the spreadsheet, though, everyone changed in the room. The conversation turned to how we could measure success. We could identify our central goal and talk about what paths and lines we needed to create to get our users there. How does the solution solve the problem for the user? How will we know it worked? Every designer has these questions in the back of their minds when they first start working a problem. With design critiques, I have every designer start by answering the first three questions (user, goal, problem) and then showing how their design solves it (i.e. answers the fourth question). By doing this the critique team can think problem first, not solution first. And this is what content strategy does. Margot Bloomstein once defined content strategy as “planning for the creation, aggregation, delivery, and useful governance of useful, usable, and appropriate content in an experience.” That sounds like they’re trying to answer the same questions that UX designers are. For all of us who work around the UX world, though, we’re all motivated by user, goal, and purpose. If it has no purpose, throw it out. If it has a purpose, tie it to a greater purpose. Show people to where they need to be, but let them lead themselves and see the path they intend. Help them meet their goals. Don’t get in their way. That’s what UX is. That’s what content strategy is. That’s what good design is. Experience design and content strategy want the same things. We’re all trying to converge on the same perspective. We’re all trying to design the best experience. Let’s start working together to build those lines into the things we design that will help users find the things they’re looking for.